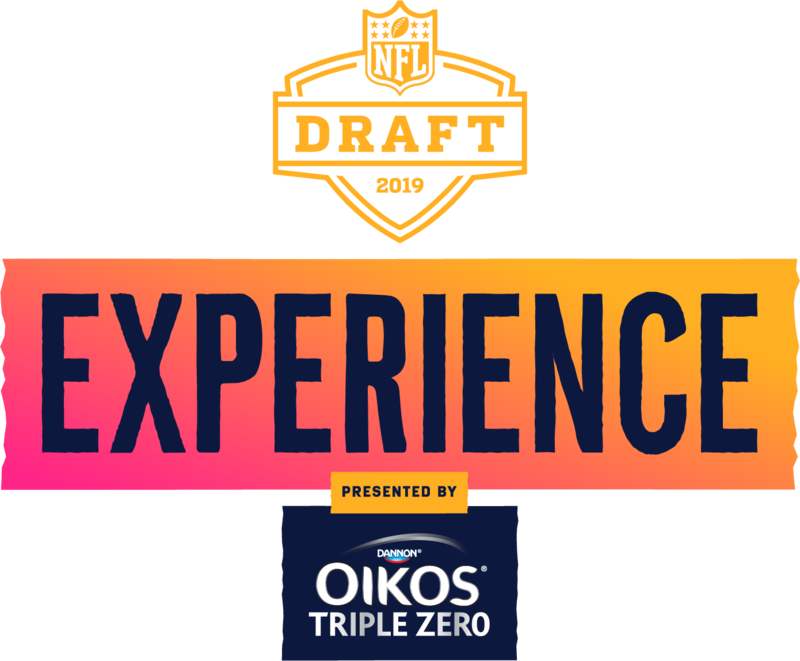 NFL Draft Experience Presented by Oikos® Triple Zero, invites families and fans of all ages to enjoy a FREE admission, three-day football festival held in the plazas directly across the river outside of Nissan Stadium from Thursday, April 25 - Saturday, April 27. Fans of all ages and teams will be able to participate in interactive exhibits, immersive games, virtual reality experiences, free player autograph sessions and more! The 2019 NFL Draft will be televised nationally by NFL Network, ABC and ESPN. Visit NFL.com/network/Draft to check out all the ways to watch the 2019 NFL Draft and make sure to tune-in to NFL Network for exclusive insider access that takes you behind-the-scenes in Nashville. Fans can follow the 2019 NFL Draft action by downloading the Fan Mobile Pass app. The app will serve as the central hub for information and updates on NFL Draft Experience and concert series. 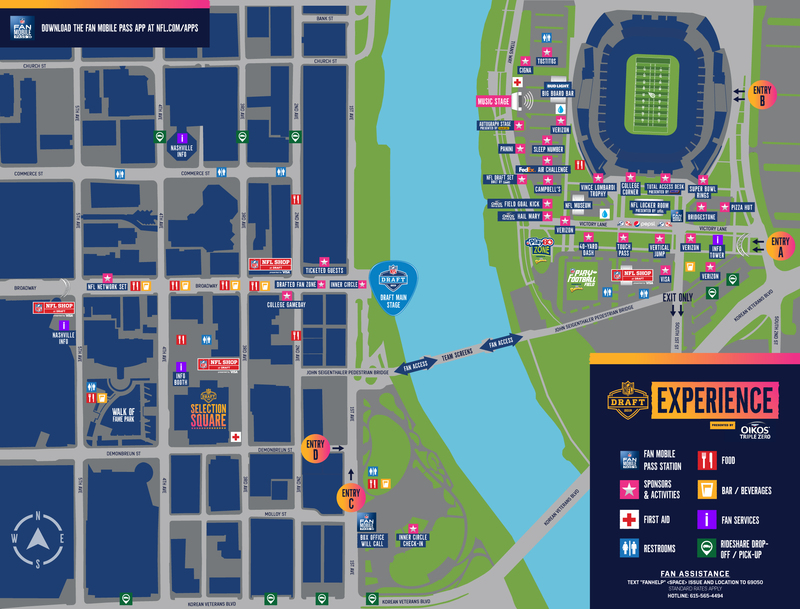 Fan Mobile Pass also offers fans a chance to gain access to exclusive viewing areas at the NFL Draft Main Stage, so they may watch in person as the picks unfold and Draft boards come to life. Download now at NFL.com/apps! To plan your trip to Nashville, click here! Follow @NFL and #NFLDraft to get the most up-to-date 2019 NFL Draft news. Register for Fan Mobile Pass in the Fan Mobile Pass app (available on iOS or Android) or visit NFL.com/FanMobilePass. Fan Mobile Pass is your guide to all things at the 2019 NFL Draft.